Effective April 1 (left to right), John Scheib is Executive Vice President and Chief Strategy Officer. Annie Adams is Executive Vice President and Chief Transformation Officer, and Vanessa Allen Sutherland is Senior Vice President Law and Chief Legal Officer. 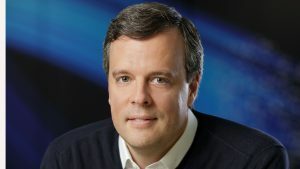 Effective April 1, John Scheib is Executive Vice President and Chief Strategy Officer. Annie Adams is Executive Vice President and Chief Transformation Officer, and Vanessa Allen Sutherland is Senior Vice President Law and Chief Legal Officer. Scheib joined Norfolk Southern’s law department in 2005 as an attorney and has held positions of increasing responsibility with the company. He was named Vice President Law in 2016; Senior Vice President Law and Corporate Relations in 2017; Executive Vice President Law and Administration in 2017; and Executive Vice President Law and Administration and Chief Legal Officer in 2018. In his new position, Scheib will oversee a new Service Optimization and Customer Engagement Division that comprises strategic planning and the newly created departments of Network Planning and Optimization and Customer Operations. Adams joined Norfolk Southern in 2001 as Manager Human Resources. Since then, she has served in a number of HR and planning roles. She became Assistant Vice President Human Resources in 2012 and was named Vice President Human Resources in March 2016. 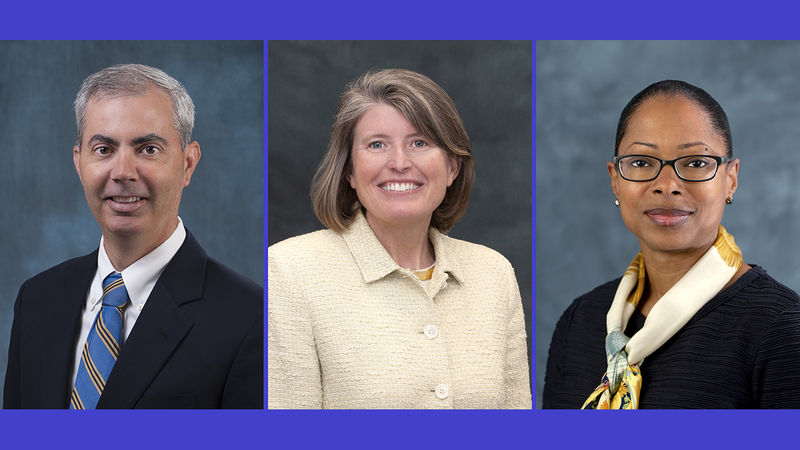 In her new position, Adams will oversee a new Transformation Division that comprises the departments of Information Technology, Human Resources, Labor Relations and Corporate Communications. Sutherland joined NS in 2018 as Vice President Law. Prior to NS, Sutherland held various government and corporate legal positions, including serving as CEO and Chairperson of the U.S. Chemical Safety and Hazard Investigation Board and as Chief Counsel with the U.S. Department of Transportation Pipeline and Hazardous Materials Safety Administration (PHMSA). In her new position, Sutherland will oversee legal matters. At the same time, NS broke ground on its new Atlanta, Ga., headquarters, joined by Georgia state and city leaders. 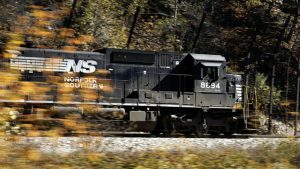 Plans call for the building to be completed and occupied by Norfolk Southern in third-quarter 2021. 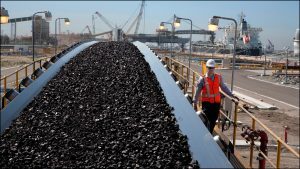 NS said the headquarters relocation will bring approximately 850 jobs to Atlanta with an average salary of $105,000 and generate an economic impact of around $811 million for the region. Through Southern Railway and other predecessor railroads, Norfolk Southern traces its roots in Atlanta to the mid-1840s. 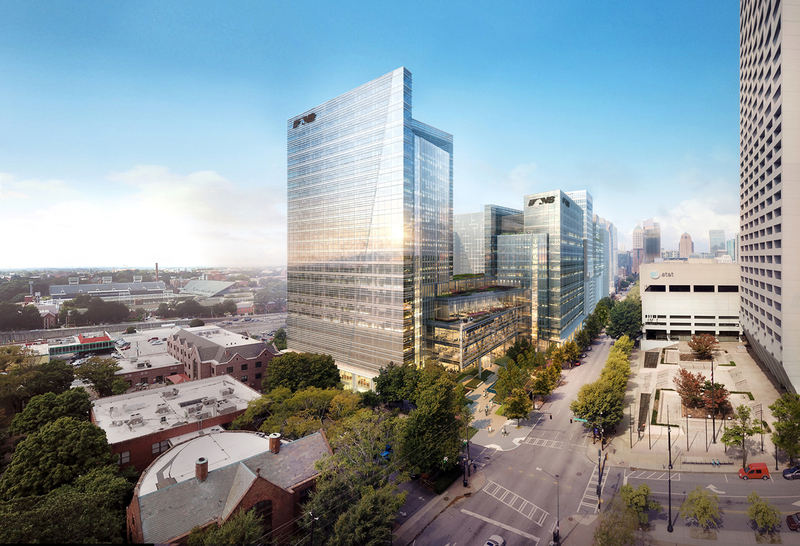 Currently, more than 2,000 NS employees work in Midtown Atlanta at the company’s Peachtree Street operations center, about one mile from the new headquarters site. Around 500 employees work at the company’s Norfolk headquarters. 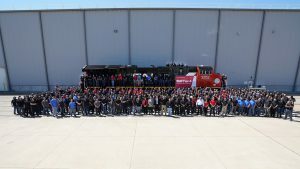 The railroads’s migration to Atlanta has begun, with 300-plus dispatchers already relocated and in place at the company’s newly opened Network Operations Center. The first wave of Norfolk-based employees relocates in July; the consolidation will be complete when the new headquarters building is finished. New NS Atlanta headquarters building. Among state and local leaders joining Jim Squires for the event were Georgia Gov. Brian Kemp and Atlanta Mayor Keisha Lance Bottoms. 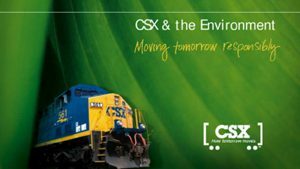 Both the state and the city worked closely with Norfolk Southern on development agreements that contributed to the company’s decision, announced in December, to relocate its corporate headquarters from Norfolk to Atlanta.